It’s rare that I “toot my own horn,” but this recipe ROCKS!!! And, unlike many pudding recipes made from dairy….there’s no need to cook anything. Total score! Place ingredients in a blender in the order listed above. Blend until smooth, stopping the blender a few times, as needed, to scrape down the sides with a spatula and/or to push the ingredients down into the blade. Transfer to popsicle molds. Click here to see the ones I use. 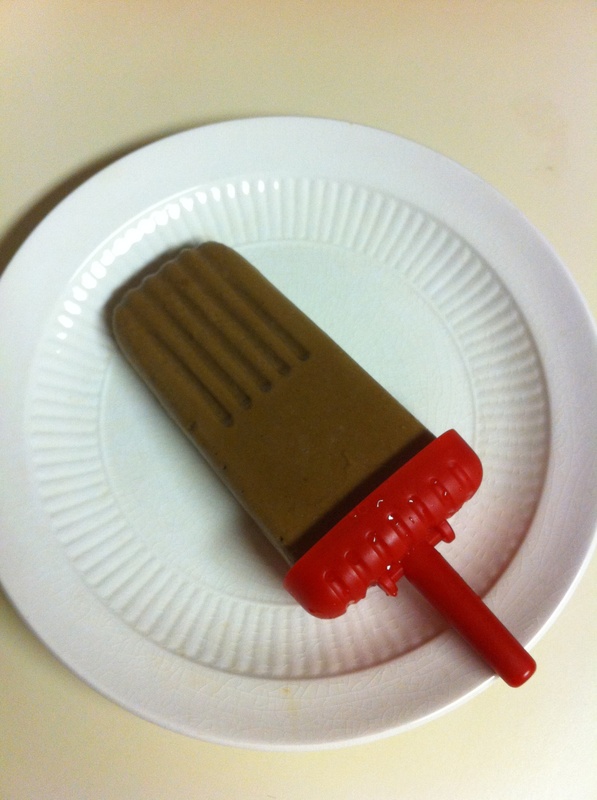 My molds each hold 1/2 cup, so this makes 5 fudgsicles in these molds. Enjoy as a snack or a dessert. Heck, grab one for a quick breakfast – it’s a heck of a lot healthier than the breakfast cereals or PopTarts most kids are eating!! This entry was posted in Recipes and tagged avocado, frozen, fudgsicle, pop, pudding, sweets, treat. Bookmark the permalink. Totally trying this today as I have both avocadoes and bananas! Super! Let me know how you like ’em! was just checking this out and the link you put to the molds is dead? suggestions please!! Lately I just warm the base of the popsicles with my hands and they slide out nicely after a minute or less 🙂 I am definitely going to try this one, my little one loves popsicles. Thank you! LOL! Awesome! I hope you both love them!! Do I have to use raw honey? I have honey but it doesn’t say raw?